Discussion in 'Zenithink Tablets' started by Azutrum, Apr 13, 2014. I know this maybe a common or highly discussed problem, however, I have been reading boards online and have not found a clear cut solution and my case exactly anywhere else. Or so it seems to me. I had an app on the Zenithink, it was a memory saver app from google play. I ran it and it deleted a bunch of stuff from the tablet. I then was unable to save anything, download anything or take picture on the tablet. Basically my internal mount card of sdcard0/ was not accessible. I put the microsd card into the tablet and reset it into the setup screen. I went to install.... and viola.... nothing.... I was suppose to see the zip files but nothing.. So my problem is what do I do now?? 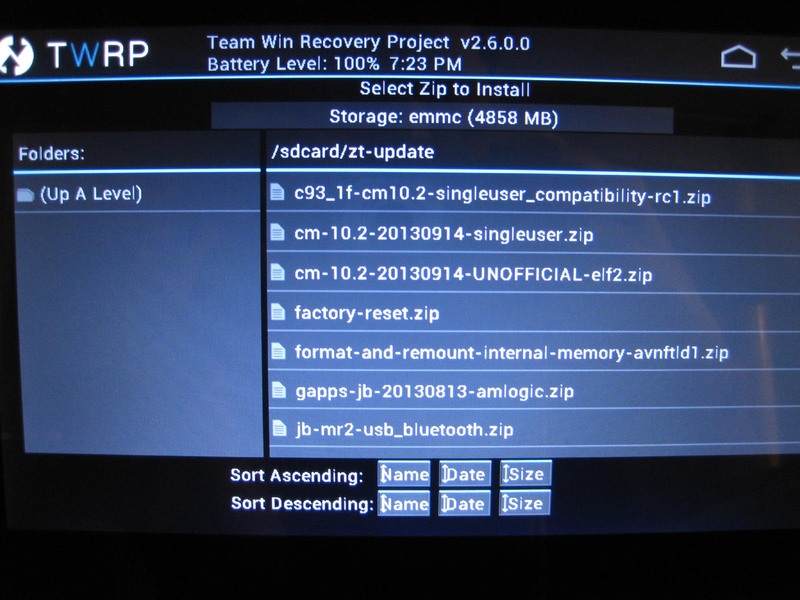 The TWRP software is on the external sd card and it runs fine when I go into the setup mode. I used it to remove the stock software from the tablet, so essentially I have no operating system. All, I can do is go into TWRP software. I dont see the different zip files from Cyanogenmod? I can't access using external SD as an option, it always stays on Using internal storage as option. Any advice? Please be methodical and stepwise in your instructions as I am a newbie. Which C93 do you have? Did you navigate to the folder where you put the zip files? Did you unmount your sdcard by mistake?